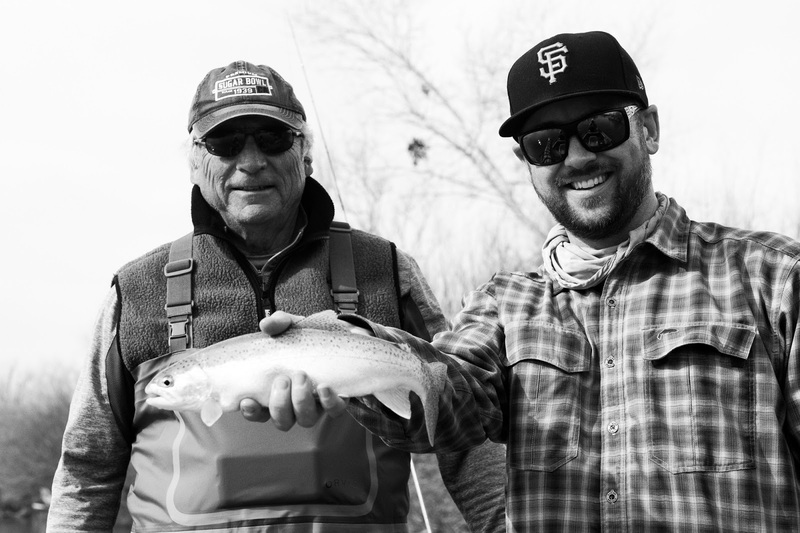 So, we have entered into the normal Nor Cal winter…Big storms that blow out the rivers followed by a few weeks of beautiful false spring weather followed by another storm…with some fishable conditions mixed in, but usually not fishable long enough to make a fishing report of much value after a few days. So this post has a limited value…short window of accuracy and may be outdated very quickly. The weather and conditions have been beautiful the last week or so. Rivers have come into shape and midday temps are getting into the high 60s in some places. That said the forecast changed up a bit this morning with rain forecasted for Wednesday and more rain this Friday-sunday. With the reservoirs filling up and much of the ground being saturated any amount of rain will blow out or began to affect the clarity of most of our river’s - so it goes. Lower Yuba River – I have been guiding the Lower Yuba recently by far more then any other place. With new private access and good conditions it is has been a good option for me. 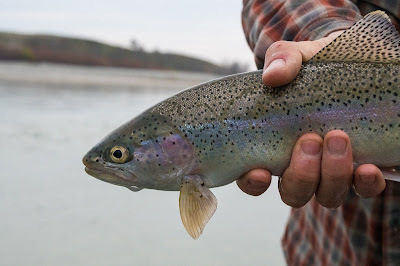 I use to split a lot of my time in the winter between fishing the Lower Sac for trout and the Lower Yuba, but the reality is I have come to favor the diversity and options on the Lower Yuba for trout…The sac will always have bigger fish, but the dry fly fishing, ability to get out and dry fly fish or swing the switch rod are real options this time of year on the Yuba – as well as running nymphs out of the boat or wading. Lots of options and everyday seems to be a bit different. The last week clarity has been an issue as there had been a bunch of low elevation snow that melted and muddied up and blew out Deer Creek which dumped into the river. Clarity as of this weekend was good enough – about 18” up by the bridge and clearing to about 2’ by the time you get down by Sycamore and even clearer at the dam. One tip I would give to people is that if you show up to fish and if you don’t have confidence in the clarity when you pull up to the bridge go down river. It literally gets better every mile or so as you go down river most days. With regards to flies and such…last few days I have been out it is purely off color water flies. Rubber legs, eggs, #12 -14 attractor nymphs with red and flash mixed in. There are a few skwalas and mayflies around, but nothing that has inspired me to pick up a dry fly rod for a client. That said as the river clears these next few days I am sure the dry fly fishing will improve. Foothill Bass fishing – this is prime time for all the foothill spotted bass lakes like Oroville, Bullards, Englebright, Shasta, and MANY more! Now through April is when we start to get some of the bigger fish and even on Bullards began to touch some true world records. My buddy Chuck Ragan WILL I am convinced catch a world record spotted bass on Bullards this year…weather he takes all the steps necessary to register it is another thing BUT it will happen. Winter Striper Fishing has been OK this week so far as the water on the river has cleared every day but with rain coming Wed-Sunday it looks like the river will blow out again. It is in that phase where any rain blows it out and muddies up the river as everything is full and saturated up river. 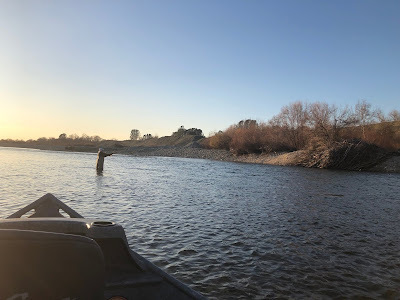 That said good spring migratory fishing should start up March/April and with good water we should see another good year with fish up through Colusa and Princeton areas. I will be guiding the migratory run starting in mid – March assuming fish show up. 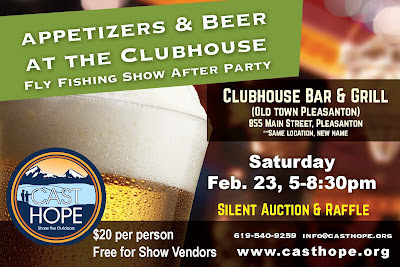 Events – I will be down at the Pleasanton Fly Fishing show most likely starting Friday night (Feb 22) and then in the Cast Hope booth all day Saturday prior to the Cast Hope after party. 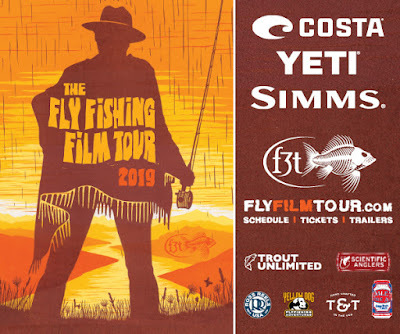 Should be another great year and the show should be really cool as I know that many companies like Scott Fly Rods and such are coming back to the show. The Cast Hope booth will have the Barbless Podcast crew in it Saturday most likely interviewing industry peps and doing podcasting as well just hanging out. Make sure to check out the flier for the Cast Hope After party and get on out to the show and party. Always a TON of fun and cool stuff to see. 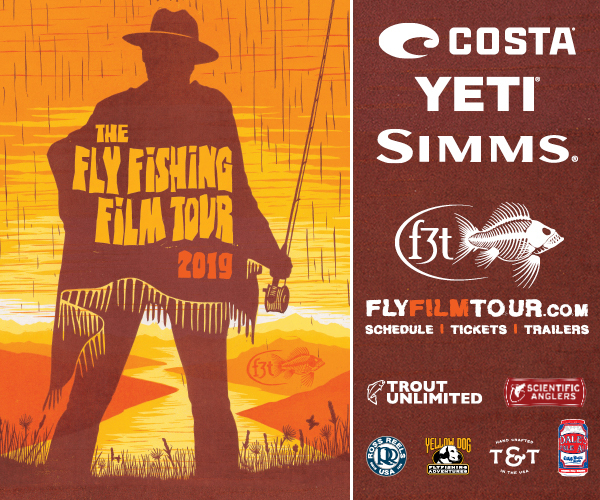 Cast Hope is also hosting the Fly Fishing Film Tour this year in Nevada City at the historic Nevada Theater Again! This year we are really going to blow this thing up. The raffle and auction are going to be silly and we are even going to be throwing an AFTER PARTY at Coopers Bar just down the hill – walking/stumbling distance from the theater. After party is going to have ANOTHER raffle live music and just fun times to the keep the party rolling! More to come on the after party as line ups and details get finalized. 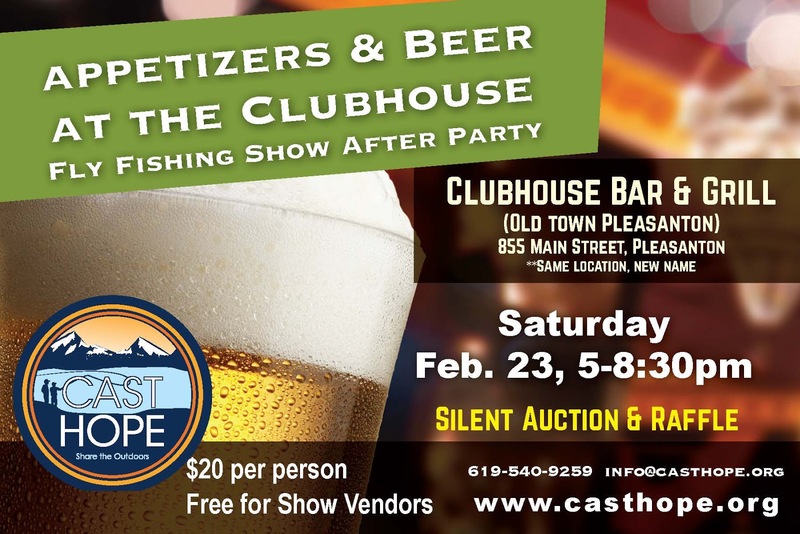 Cool Event that I finally get to go to…But good friend and now Co Worker at Cast Hope Conway Bowman and near legend status artists, designer, fly tier, and just all round good dude Al Q have run for a number of years a Carp Tournament at Lake Henshaw outside of San Diego called the Carp Throwdown www.carpthrowdown.com. I have wanted to go to this tourney for YEARS as Henshaw is a legendary carp fishery!!!!! One of the few places where catching carp on dry flies is a pretty established reality…they eat hoppers here!!!!! 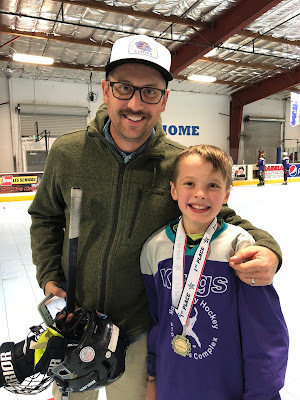 Well with Cast Hopes expansion down to SD Conway and Al have decided to make Cast Hope the beneficiary of the tournament so Ryan and I will be heading down this year to hang out and fish. If you are down in SD or So Cal this is a GREAT tournament super fun event from what I have always heard so check it out! 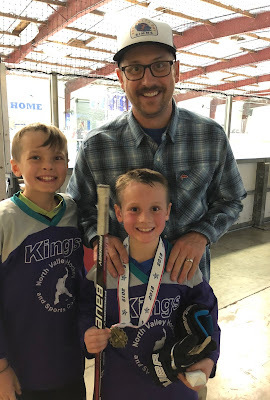 Music…Royals Oaks has been recording demos and getting ready to go into the studio again as well as booking some local chico shows for the spring so stay posted on all that. Check us out on social media for more info. Listening wise been running some oldies but goodies…I have been listening to a lot of Lucero and Gaslight anthem as well as some John Moreland…AND even dug out some of the older Death Cab for Cutie albums like The Photo Album, Transalticism, and Plans…really all the albums until Chris Walla left..Chris was so damn good as a producer, multi instrumentalist, and just all around guitar, synth, what ever player I think they had to add 2-3 dude to do all that he did by himself. He is the king of awesome simple fills and back ground noise…while playing lead guitar and all that other stuff he did. I hate to say it but DCFC is not the same with out him.